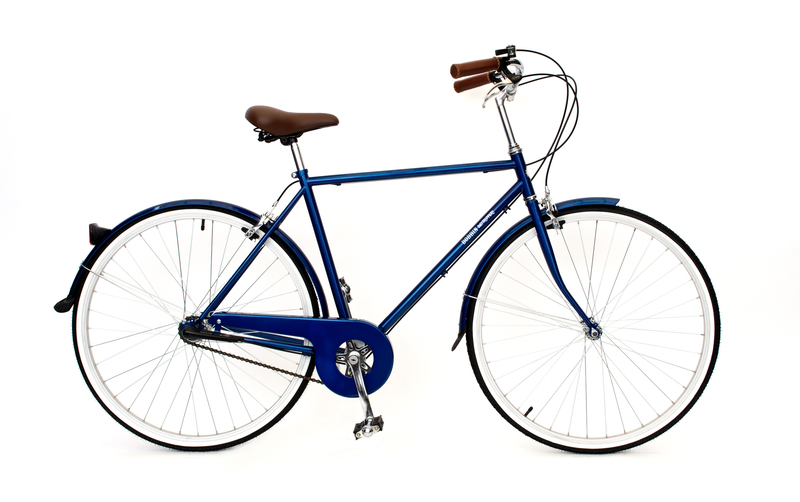 You may lament the end of summer — but here at dandyhorse we love the idea of biking back-to-school on a NEW BOBBIN BIKE! That's right, we're raffling off a beautiful Bobbin bike, courtesy of Curbside cycle at our party at Handlebar on Friday, September 14. The event is free and will feature a screening of the dandyhorse/Steamwhistle film by Hiep Vu "Super Spin" featuring former dandyhorse editor, Colleen Kirley and LIVE MUSIC by Attagirl. Read about the making of the video here. Attagirl will play before the bike raffle at 11 pm. We'll be selling our stellar summer issue of dandyhorse too for just $6. What: dandyhorse magazine and video launch party. 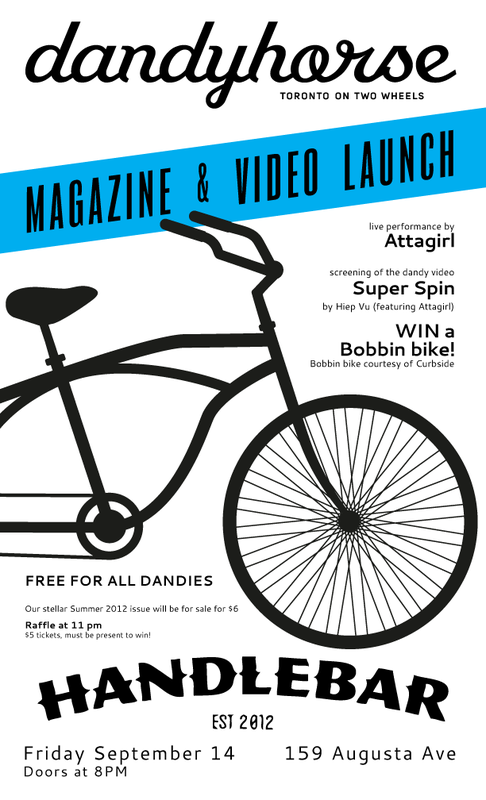 We will screen the video Super Spin and enjoy live music by Attagirl. Where: Handlebar -- 159 Augusta in Kensington Market (just north of Dundas on the east side.) *Please* do not lock your bike in front of neighbouring stores/doors. There's a fence you can lock to all around the park, just up the street and two bike corrals even further up at Nassau. Raffle tickets only $5 each! Draw is at 11 p.m.
Bobbin bike is courtesy of Curbside Cycle. Your prize bike will be set up with amazing BEACON lights. Remember: Park your bikes in piles with your pals and walk it or lock it if you've had to much to drink. If the winner prefers a step-through bike, a red Bobbin Birdie is available. You can see the red Bobbin Birdie in this fantastic Heels on Wheels profile of former Curbside employee and Opera singer, Wallis Giunta here. Both bike and woman are stunning! Great photography work by Molly Crealock. dandyhorse is volunteer-driven and needs yours support to keep rolling! All proceeds go directly into producing Toronto's favourite bike book, dandyhorse magazine. Proceeds from this party will go towards our Word on the Street table. Word on the Street is Sunday September 23 at Queen's Park. Come by and get great deals on back issues of dandyhorse in the magazine mews section! Read more about Attagirl and their love of bikes here on the dandyBLOG. Check out our Bike Spotting session at Handlebar this summer here.